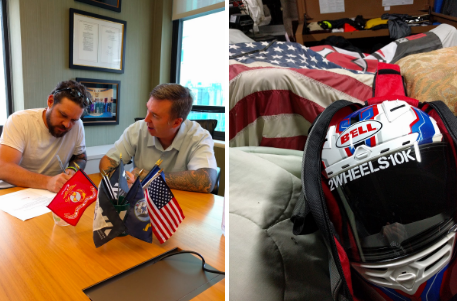 As an NYC IAVA volunteer and lifelong motorcycle rider, I can’t think of a more exciting question. 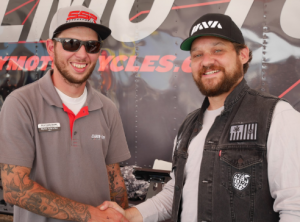 The first Sturgis Motorcycle Rally was held in the tiny town of Sturgis in 1938 by a group of Indian motorcycle enthusiasts called the Jackpine Gypsies, and the rally has been going strong ever since. 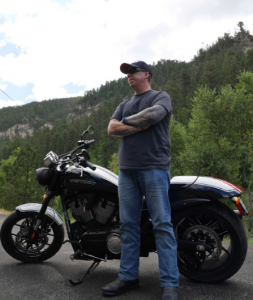 Sturgis has a population of just over 6,000, but during the rally week in August the town’s population swells to well over 500,000. 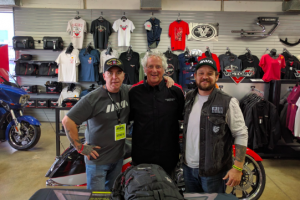 This year was no exception – and once again, IAVA was there to educate and inform about veteran issues, including suicide, mental health and other topics. 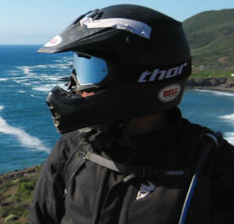 Last year, I embarked on a 10,000 mile solo motorcycle ride for IAVA. Unfortunately, my bike broke down and I had to abandon it in Sturgis – two weeks after the big rally. It was a shame to miss it. When I found out that I was returning to Sturgis this year with IAVA, I immediately called my veteran friend Tommy Hampton to see if he would be interested in going with me as my wingman. 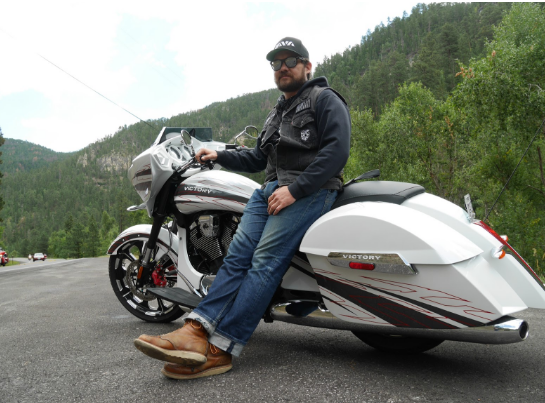 Tommy – an IAVA member – is also an avid rider who is passionate about veteran issues. Needless to say, he jumped at the chance. After landing in Rapid City during Sturgis Bike Week, we immediately headed to the Rice Victory dealership. 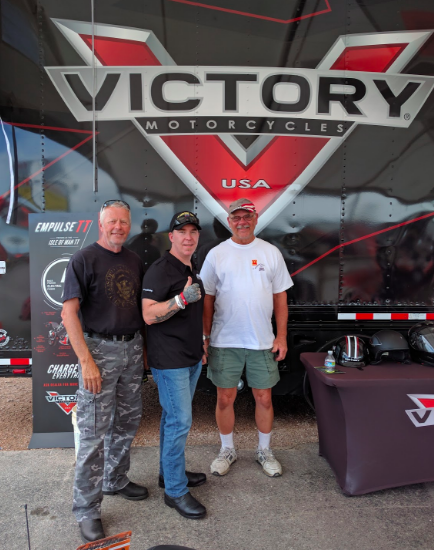 We enjoyed several short rides with Victory customers who were also veterans, handed out patches and buttons, and answered questions about IAVA’s mission. And caught a super cool police bike demo. 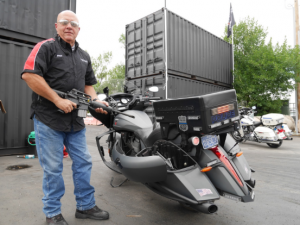 Later, we were allowed to inspect the lockable side bags which housed an M-4 rifle, 120 rounds of ammo, and other tactical goodies. Then it was off to the drag strip for a Victory Owner special event, and although rain managed to sidetrack the racing fun, both Tommy and I were able to speak into the microphone about IAVA’s mission. 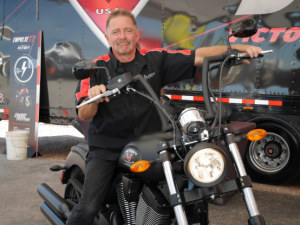 Then it was off to the legendary Buffalo Chip for an exclusive Victory owner’s celebration. 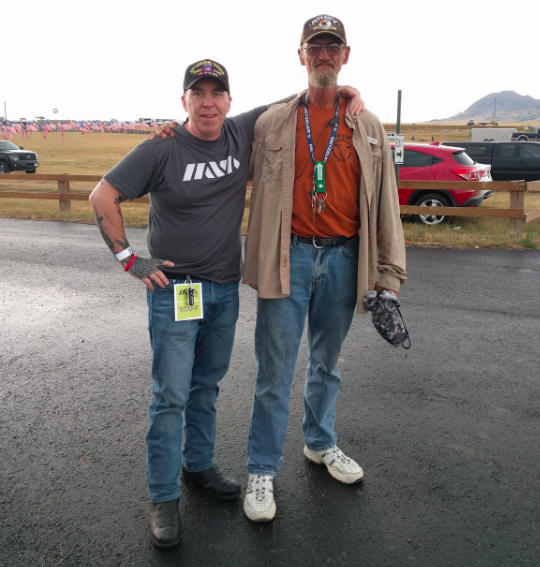 We got lost and got some help from one of the gate marshalls – who happened to be in the same regiment, battalion, company, and platoon as me in the 82d Airborne Division. By this time the rain had cleared and we enjoyed some live music. At one point, we were approached by a concerned parent of a transitioning vet, and we were more than happy to sit down and listen, and then offer some information about IAVA’s Rapid Referral Response Program and hand out the last of our RRRP cards. The Buffalo Chip was the scene of over 26,000 fans – some of whom were sitting on their bikes right in the audience – waiting for country star Miranda Lambert to appear. 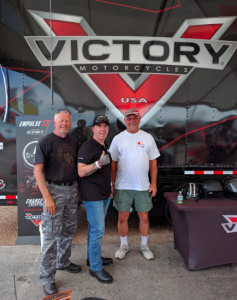 But first, R. Lee Ermey (aka Gunny from Full Metal Jacket) got the crowd fired up about veterans, motorcycles, pushups, and the good ole U.S.A.! Victory was gracious enough to allow IAVA a few moments of microphone time, and I used the opportunity to concentrate on IAVA’s mission surrounding veteran suicide. 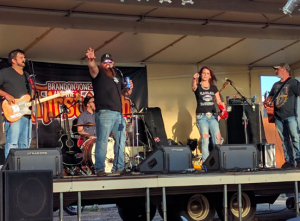 After asking the crowd to join us and getting a roaring cheer complete with lots of motorcycle revving, we threw t-shirts into the crowd before dashing off stage and heading back into town. We woke up early on Friday, jumped on the bikes, and pointed our noses towards the Black Hills – mandatory riding for any Sturgis biker! 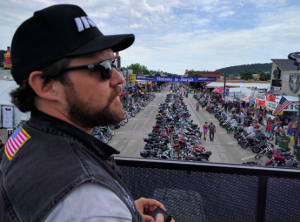 We rode for about 6 hours before returning the bikes to Rob, jumping in our rental car, rushing to catch our flight out of Rapid City, and departing this biker haven for another year.